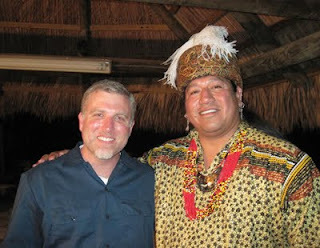 Native American storyteller and culture and language educator for the Seminole Tribe of Florida, Herbert Jim, assisted during the filming of the Florida episode of Animal Planet's series Finding Bigfoot. He welcomed us to the reservation and shared his cultural beliefs and stories regarding sasquatches. 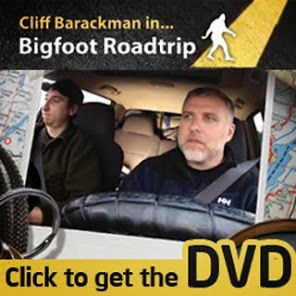 Left out of the final edit were several stories about sasquatches that he told us that night under the chickee hut. His culture, much like other Native cultures throughout North America, believe that bigfoots are a type of people that have kept their wild ways. They are the masters of the night, while humans are the masters of the day. One of the stories Herbert Jim shared with us about sasquatches took place during one of the Seminole Wars. The Seminole Wars were a time in US history when the United States Government was basically trying to exterminate the Seminole Indians because they, along with the Creeks and other local tribes, were strongly resisting relocation onto reservations. The Seminoles chose to fight their oppressors and were chased into the unoccupied wilds of the Florida swamps by the US military. Herbert told us that while the Seminoles were being pursued southwards, the "hairy men" would fight the soldiers during the night, but disappear during the day and leave the fighting to the Seminoles until dusk again. According to Herbert's story, sasquatches literally fought alongside the indians as they were forced southward! With native beliefs like this, one can see how the Seminoles would have a great deal of respect for sasquatches. Herbert Jim's message was one of "live and let live." I took this message to heart, and I hope that the American culture will embrace the ideals put forth by Herbert Jim as we draw closer to the final recognition of sasquatches as our amazing cousin on the primate family tree. Watch the video below to hear a story by Herbert Jim about the Seminole Wars.